JACKSONVILLE, Fla. - While food trucks have taken the streets of Jacksonville by storm, a new kind of mobile kitchen launches in North Florida. S.O.S. Diner primarily operated in the St Augustine area for three years, becoming a mainstay at Mile Marker Brewing (later Ancient City Brewing). S.O.S. Diner developed a following by offering a down-home-cooking, comfort food favorites such as loaded burgers, bacon-wrapped meatloaf sandwiches, a fresh catch fish sandwich and crispy queso fries. The truck ceased operations in 2016. Jesse and Laura Dowling got the idea to start a food boat while grilling up burgers on a boat during Labor Day Weekend in 2014. 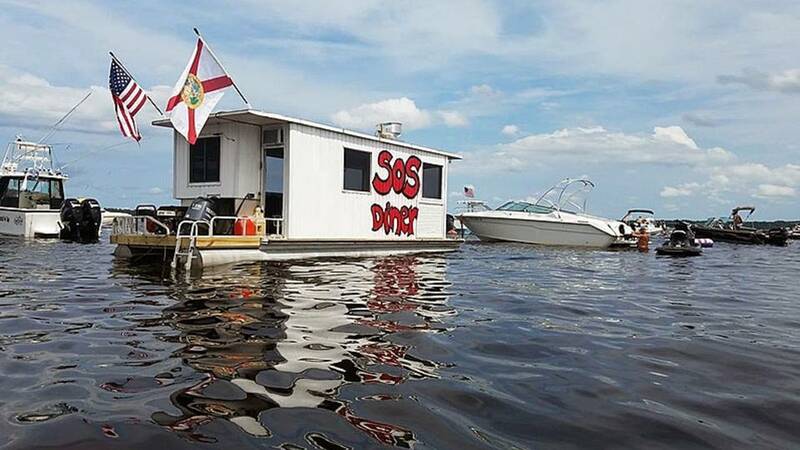 After that weekend the couple made the plunge into the mobile food industry, albeit in a more 'traditional' manner by opening a food truck called S.O.S. Diner. Click here to read the full article on Modern Cities.